Robbins Crossroads is located about 23 miles northeast of Birmingham, AL On Highway 78 near the Jefferson and Walker county line. It is one of the oldest settlements in this section of the county. 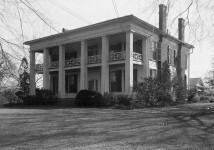 It received its name from the pioneer family of Robbins that settled here. Dave Hollis and T.B. Robbins operated grist mills W.M. McDonalds operated a saw mill, James Tate owned a cotton gin, S.E. Morgan was the local blacksmith. Among the early stores dealing in general merchandise were J.H. Lockhart, J.L. Lockwood, J.L. Lum, Levi Robbins was a wagonmaker, R.M. Robbins had a saloon. James Wilson was the local Justice of the Peace and J.F. Yates was the local physician. 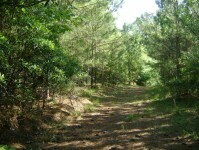 The area was covered with small farms among the pioneer families that lived here include the Adams, Bagley, Burus, Burrell, Cary, Cumby, Davis, Glover, Gossett, Goggins, Hand, Hollis, Holcomb, Hughes, Jocabs, Johnston, Kirkpartrick, Lawler, Lum, Matthews, McCormick, Myrick, Payne, Putnam, Robbins, Rouse, Sellers, Sims,Smith, Stephen, Steward, Tanner, Tate, Waldrop, Williams, Wilson, and Wood. 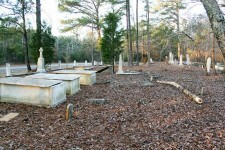 Many of the pioneers of this area are buried at Lawler Cemetery, McCormick Cemetery, Good Hope Cemetery and Linn’s Crossing Cemetery. Are you related to the McCormack’s? doesn’t 78 go northwest from Bham, not northeast? Hwy 78 runs through Birmingham from Memphis, Tennessee to Charleston, South Carolina so it runs both east and west of Birmingham. To the east US 78 has been replaced as a major through-route by Interstate 20. The two routes roughly parallel each other, with junctions at Leeds and Pell City. 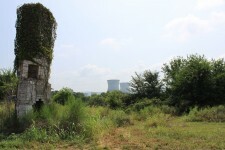 Excerpts from this story come from an article written before Interstate 20 was built. Robbins Crossroads is on the western side of hwy 78. Thank you for pointing this out. I should have explained it a little better. Many years ago, when I wore a younger man’s clothes, I drove here from Birmingham to do a percolation test for the Walter Schoel Engineering Company. Joab H. Lawler, my 2nd GGUncle and his wife Jenetta “Nettie”Robbins Lawler, he is the brother of Levi Robbins Lawler my 2nd GGFather b. 1809-1872 who was a member of Capt. Shelleys Mounted Volunteers in the Alabama Florida Wars in 1835 and whose widow Rachel received a pension.They are sons of Levi Robbins Lawler b. 1767-1836. Rhoda Ann Elizabeth Lawler is my GGrandmother. I have ancestry DNA matches to Lawlers – James Knox Polk; Mary Elizabeth; Latitia Cumi; Isaac; Elisha “Eli”; Jehu Benjamin; Tabitha Cumi and Union Lafayette. There are many interesting members of the Lawler Family. Robbins Cross roads is north west of Birmingham and was settled by these folks who had a ‘good hope’ of a future. Sixth & 7th generation descendents of these Robbins’, Tate’s, Wilson’s, Hollis’, etc. still live in the area, some of the them live on the very property their ancestors originally purchased. My father was born there. I lived my teen years there. Many of these pioneers, and their descendents, are buried at Lawler Cemetery, McCormick Cemetery, Good Hope Cemetery and Linn’s Crossing Cemetery. Thank you, Donna, for bringing attention to a bit of my heritage. Elizabeth!!!! We need to do some more genealogy digging! or at least get together and scan some cemeteries! Where is the Linn’s Crossing Cemetery? Michael Robbins, who founded Robbins Crossroads, was my 3th great granddaddy. 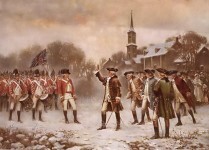 He established a trading post at the intersection of two Indian paths. He had previously served during War of 1812. He is buried at Lawler Cemetery. My great great grandmother, Jemima Robbins married John Martin Jacks. The Jackses had been in what is now Jefferson County since the 1810’s. I would like it heaps if I had the courage to do some in depth research into my personal ancestory…. This intersection is also noted as being 12 miles west of Warrior on “Cane Creek Road” or what is now called Warrior Jasper Road. Some of my ancestors lived at Bagley. My grandmother was Mattie Powers Butler Tanner. My father was born there. We lived on Butler-Tanner Road. Some of my ancestors are buried at McCormick. I attended Bagley School first thru ninth grade, then attended Corner High School. Todd Robbins, Greg Robbins, & Lisa Siniard, I wonder if they are related to you? Wow that’s cool some of my grandmothers family is mentioned in this post they were some of the first settlers n that area. History rocks! Yes Kim Jordan Morin. The second born to Michael and Mary Robbins, Thomas Robbins, was born in Alabama right after they moved to the area. He was my 3rd. Great Grandfather. His descendants are buried at McCormick and Midway cemeteries. I have a book called “The Heritage of Walker County” that details some of this info. There were ten children born to Michael and Mary Robbins. Jeanetta was first, born in Greenville, NC. Thomas and the rest were born here. I was happy to learn, Becki Jacks Burchfield, that I really did have an Aunt Jemima! LOL!! Oh cool!! I figured they were related to y’all!! According to what I’ve been able to learn so far Becki Jacks Burchfield, Michael lost his right eye in the War of 1812 in a bayonette fight. 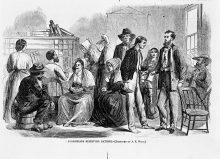 He had a pension of $14 a month that transferred to Alabama in 1819. What is your g-uncle’s name, Nathan? Is it Jack or Jacks? The name of the cemetery should be McCormack, not McCormick. My great-granddaddy donated the land for the Liberty Church and the cemetery. Are these the same McCormack’s that still live in the area? I have a picture of Jemima Robbins Jacks Lively, the daughter of Michael Robbins. I have tried to upload it to this site but have been unable to. Thank you for sharing the information on Robbins Crossroads. I descend from the Bagley, Fields, Hollis, and Williams families. 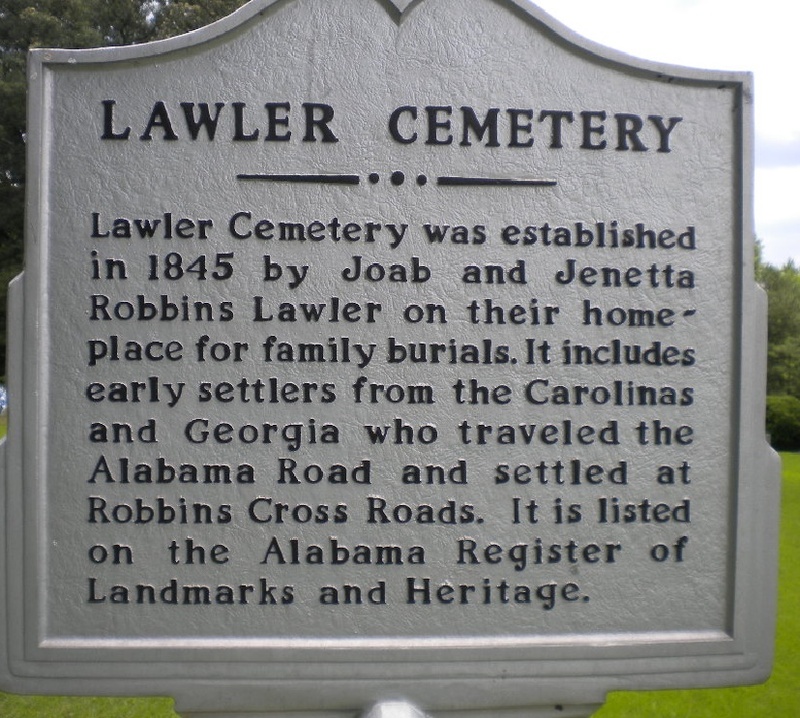 Lawler Cemetery is where Ethel Dred Williams’s are buried. I believe there are 4 with that name with the oldest having been born in 1816. Quite a few of the older graves are ancestors of mine. Family history and the places they lived, is a hobby of mine. I try to read everything that I possibly can so that I have some sense of what their life was like. I thoroughly enjoy reading alabamapioneers.com post and stories. So much information is included on this site. Thank you so much for the hard work that you do to obtain the facts and truth included on your site. I enjoined the article. I’m a descendant of the Wood family from Linn’s Crossing. Through research I found that my pioneer ancestor was a woman. All of my life I was told the ancestor who first lived here was John Hosea Wood. But found that he died in the Civil War the year before the land was obtained by my family. His widow Elizabeth Davis Wood and her sons moved here and farmed the land. Just goes to show how fun family history research can be. My 2nd GGUncle and Aunt. Shouldn’t that be northwest ? My Great Grand parents were Robert Maxwell Robbins and wife Louise Frances Robbins burried at Good Hope Cemetery..
Alright, my old stomping grounds. My mothers maiden name was Wilson. Vickie Newton Robbins. Phillips’ ancestors. Where is yhe Linns Crossing Cemetery? I have seen this reference to a historic directory before. It says S.E. Morgan was the local blacksmith. It is almost certain that this is Samuel Edward Morgan, as my great-grandmother, Mary Adeline Morgan, was born at Robbins Cross Roads in 1868. Samuel’s wife was Nancy Lollar, later changed to Lawler. In the Lawler cemetery, there is a Nancy Lawler headstone, which says she is the wife of S.E. Morgan. There is a Nancy Lawler listed in the 1850 U.S. Census with Joab and Jenetta Robbins Lawler, with the right birth year, 1848. Some believe the difference between Lollar and Lawler is illiteracy…..